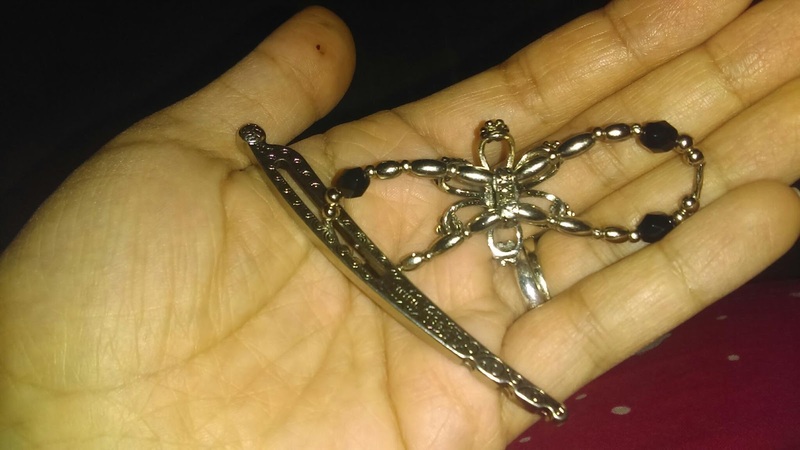 The Girl With The Spider Tattoo: Lilla Rose Hair Clip Giveaway Ends 5/14/2016! Lilla Rose Hair Clip Giveaway Ends 5/14/2016! My hair is so, so curly, and at times very unruly. There is just. so. much. of. it. I was just recently introduced to Lilla Rose. First off-what a pretty name, right? They have very pretty and fashionable hair accessories starting under $10. Yup, they have bands, bobbies, sticks, you-pins, clips, and more. 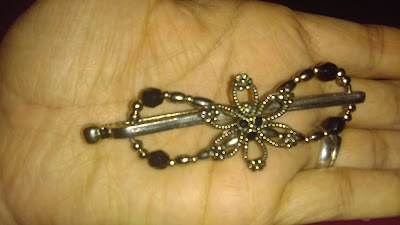 I received two gorgeous flexi hair clips. Speaking of hair clips...what I love about these particular ones is the fact that they not only come in different sizes, (mini to mega), but they are FLEXIBLE. They are made to fit any type of hair.Yes. Just what I needed. I can bend the top part over my hair that I am trying to grasp, and then slide the metal bar underneath. This is what the underside looks like when you pull the bar out of it. It is attached to the clip so that you will not lose it. 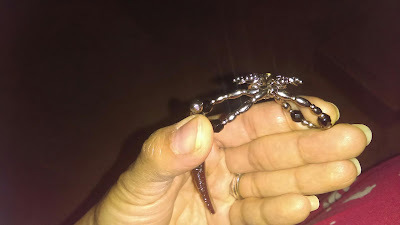 This is how flexible the clip part is. See how it bends? Very cool. They hold my hair well and securely.They don't hurt or pull my hair. They look so pretty. They also sent me this neat little guide that shows you a few different ways to pin your hair back, as well as cleaning tips and how to find the right size clip for future reference. Learn more about Lilla Rose from Beth! Guess what??? YOU can win your very own Lila Rose Hair Clip by entering the giveaway below! Winner must be 18 or older and will be contacted via email. Disclaimer: I received these hair clips in exchange for my unbiased review and all opinions are my own.